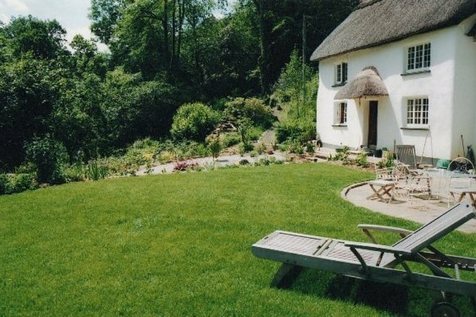 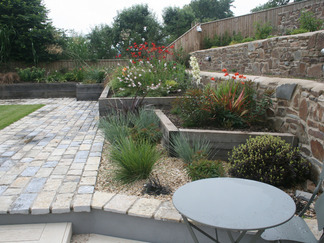 North Devon Garden Designer and Landscaper, based in North Devon.Portfolio. 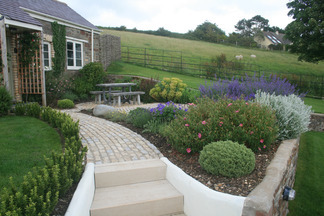 A small selection of projects completed by Alison Böckh Garden Design, North Devon. 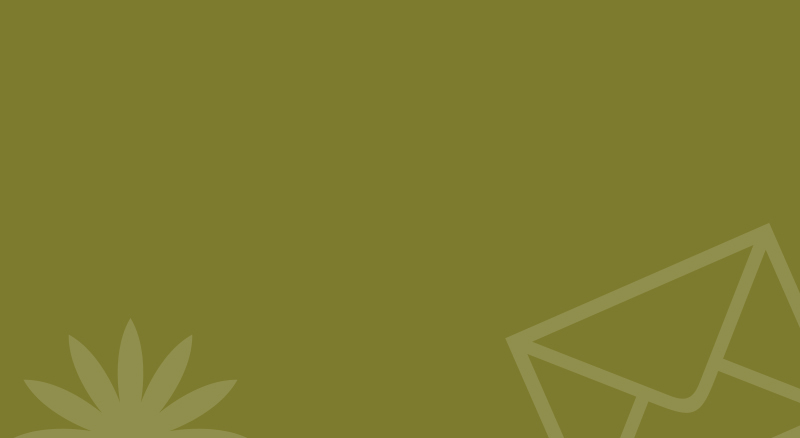 Please browse. 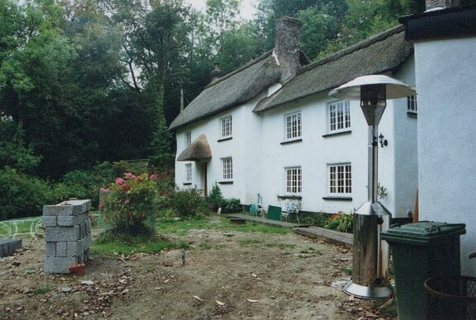 You may find new ideas and inspiration. 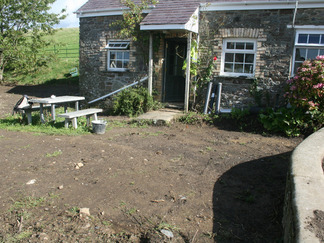 Here the clients wanted a lawn for their sun loungers and needed a garage – so we hid it under the lawn! 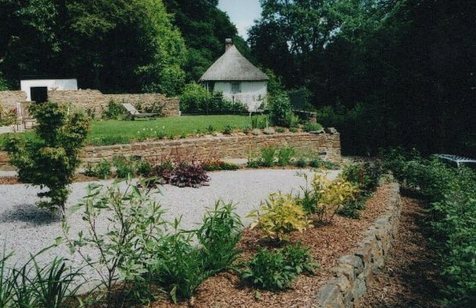 Stone walls gave the garden seclusion and I created beds around access paths and steps, providing plenty of scope for cottage style planting in sun and shade. 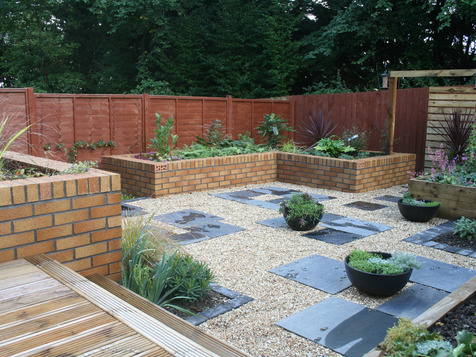 The clients bought an unusual new built terrace with a small garden on a slope. 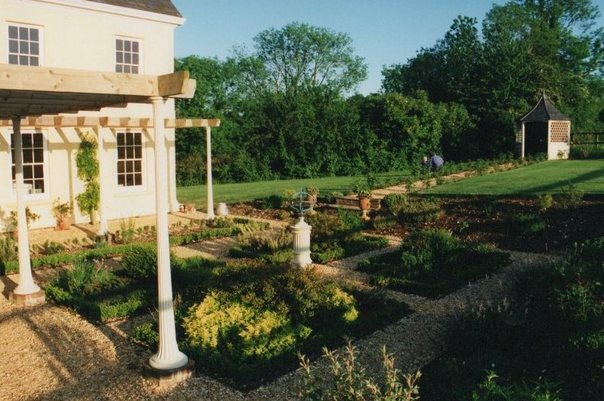 Not being gardeners but with a yen for travelling, they wanted a low maintenance garden that could take care of itself when they were away and a place to soak up the sun and relax when they were home. 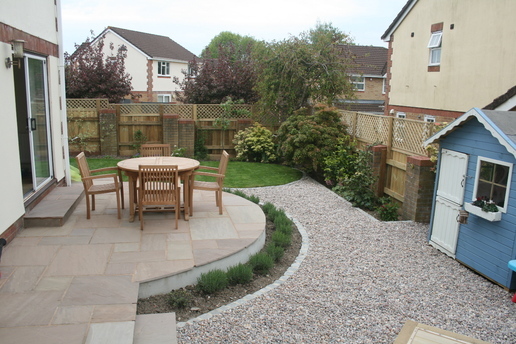 A large decking area at the back of the house leads down onto a partly paved and gravel area. 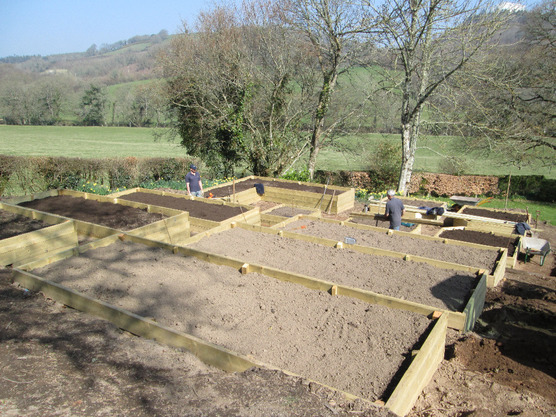 The deck and paving is linked by a large central raised bed with further beds in brick and timber enclosing the space. 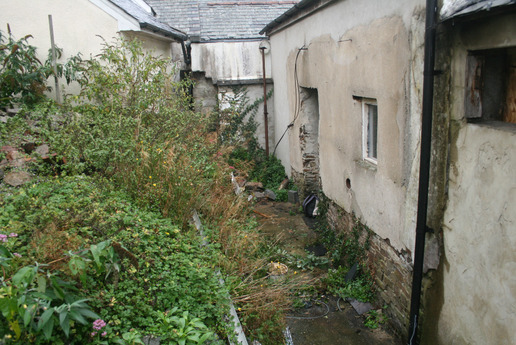 Screening at the rear is accessed through an arch to a storage area. 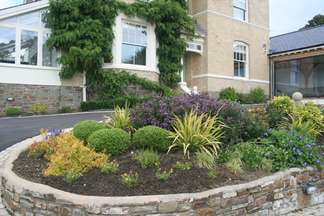 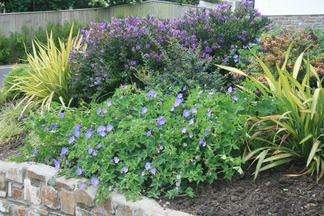 Lush low maintenance planting provides structure and interest year round and colour in the summer. 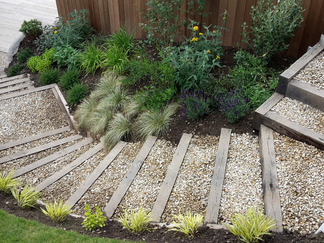 The bold beds and different levels overcome the slope and create the impression of greater space. 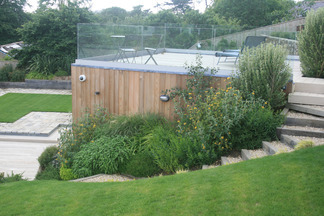 This plot was a screened area in a larger garden that the clients wanted to keep but reorganise and be low maintenance. 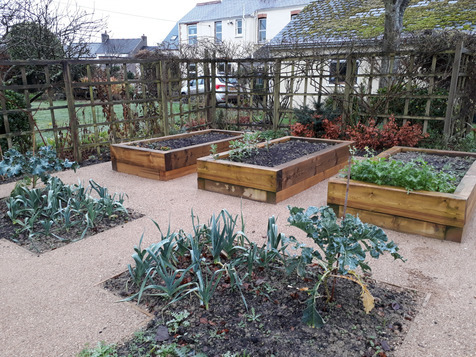 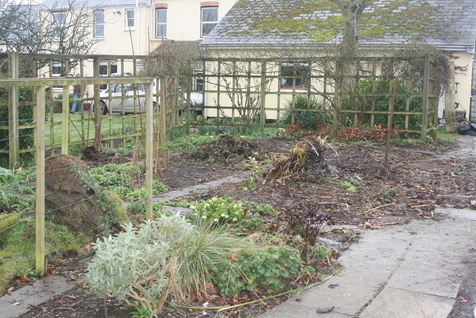 Three smaller raised beds were built with hard wood sleepers and ground level beds were reworked around a central sitting area. 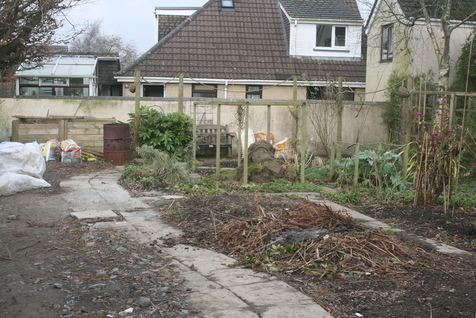 The compost area was screened off with a metal trellis which will in time be covered in flowering climbers. 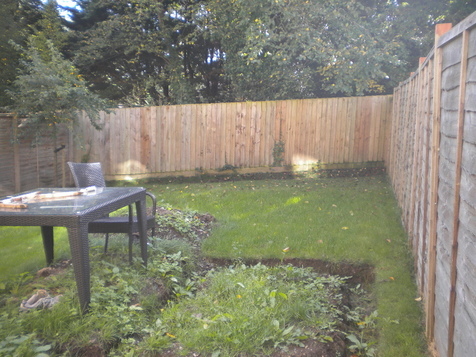 Surrounding paths were laid in Breedon bound gravel allowing easy access to wheelbarrows. 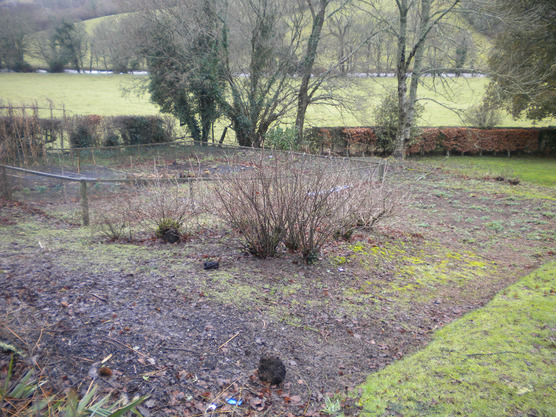 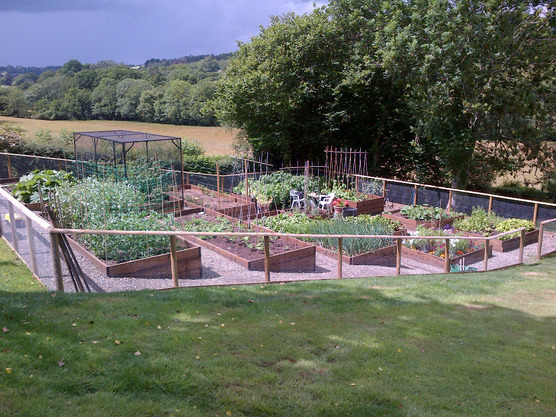 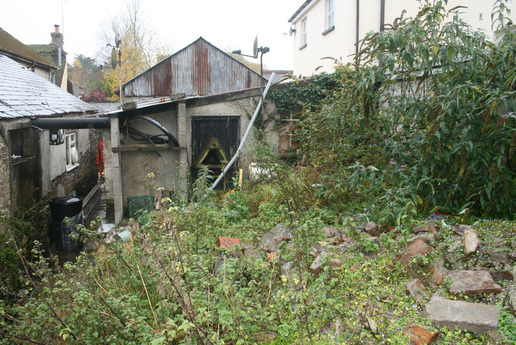 An existing vegetable garden in Dartmoor was becoming unmanageable for its owners being on a steep slope and ravaged by the local wildlife! 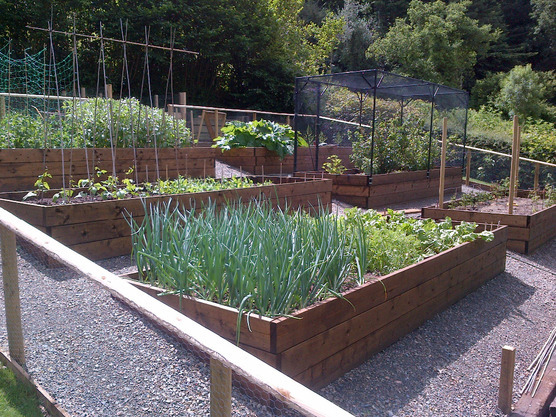 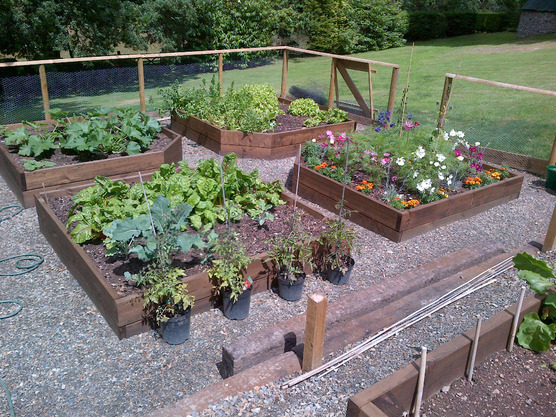 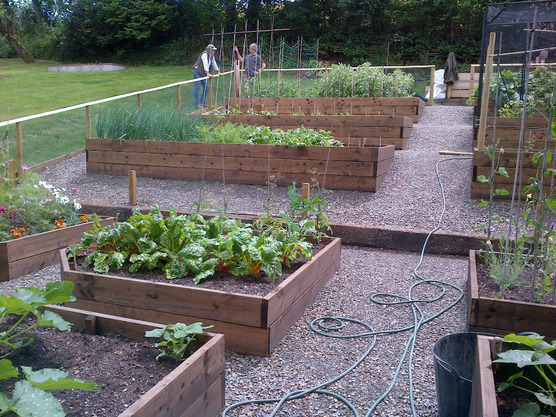 Raised beds on terraces were installed, some with fruit cages and the whole surrounded by a rabbit proof fence. 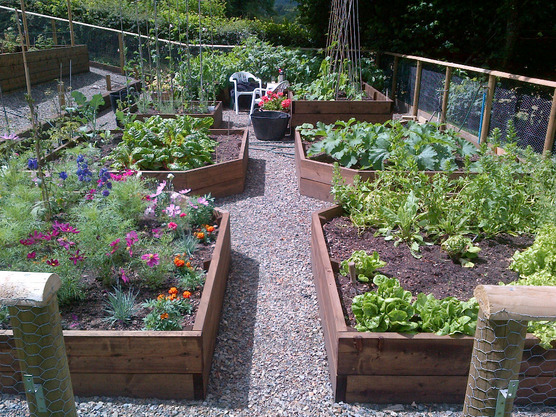 At the bottom of the incline a small and neat potager for salad crops and cut flowers provides a seating area to rest and contemplate. 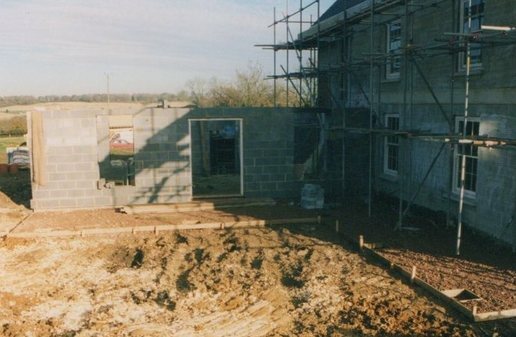 This really was a work in progress on my first visit - the clients were knocking two workers cottages together and adding a kitchen extension. 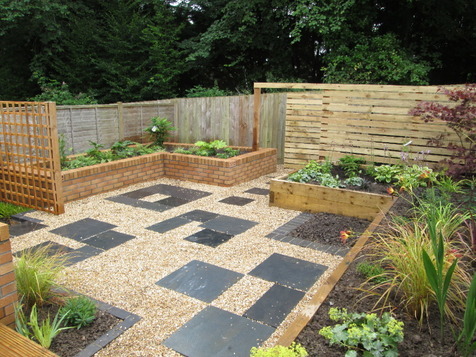 They wanted a formal kitchen garden complete with box hedging for herbs and summer veg. 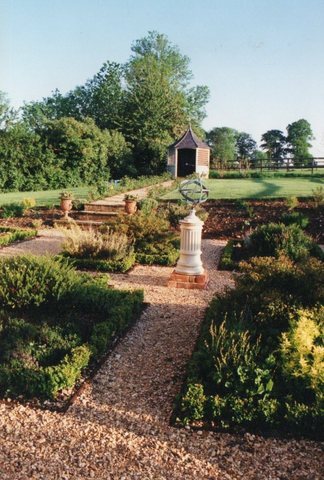 The surrounding gardens were more relaxed - sweeping lawns extended to the rural views beyond and a gazebo became the main focal point seen from the house. 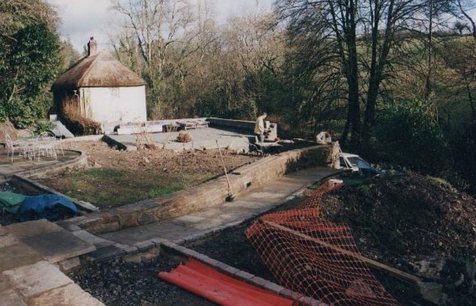 This project had some common issues – a low maintenance family garden was required in an awkward L shaped site on a slope and a tight budget. 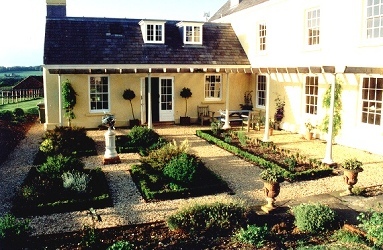 A semi-circular terraced patio was put outside the patio doors for sitting and dining bordered by a neat lavender hedge. 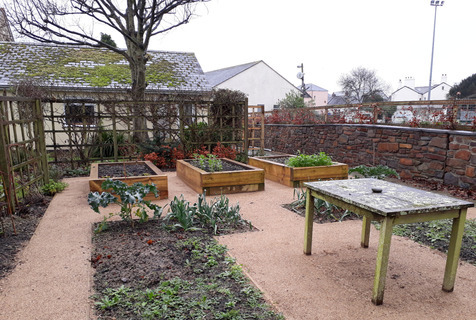 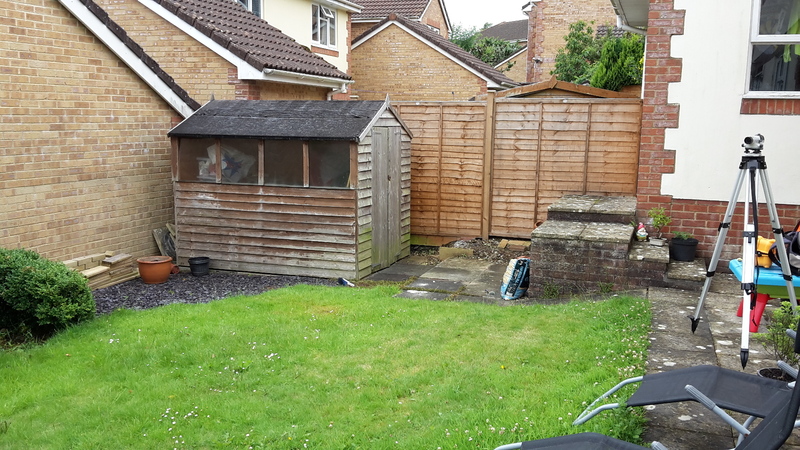 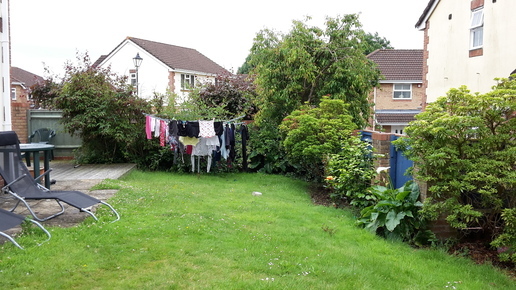 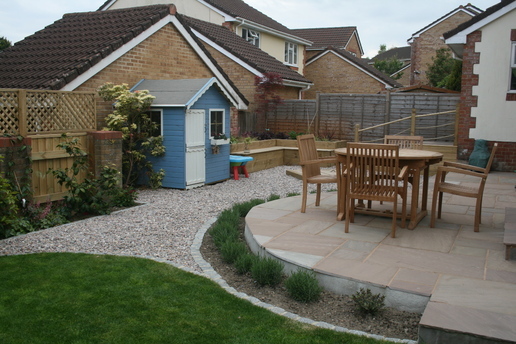 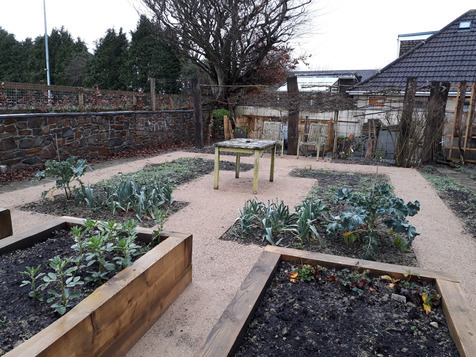 An area for the children to play was positioned in the corner where Mum could keep an eye on things from the kitchen window –with a raised bed for planting with a playhouse and covered sandpit. 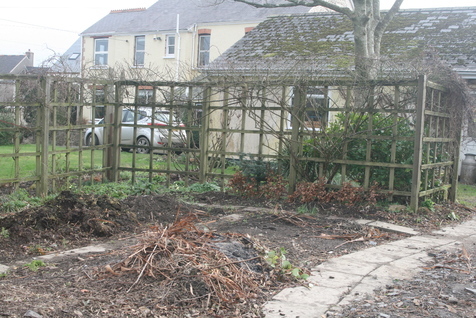 To the side a new lawn was laid with granite a mowing edge – low maintenance borders planted with shrubs will soften the new fencing and climbers will soon adorn the trellis. 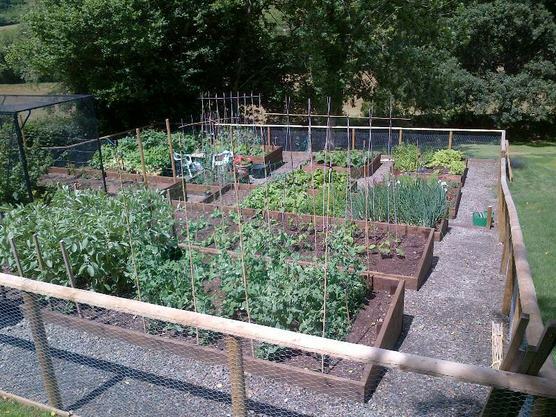 A low raised bed for the children to grow vegetables was tucked round the corner out of sight. 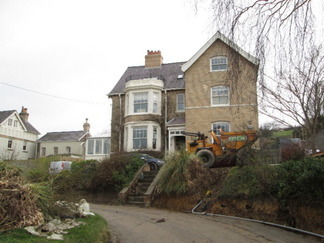 This rather grand Edwardian house overlooking the Taw estuary is undergoing major refurbishment - as is the sloping garden. 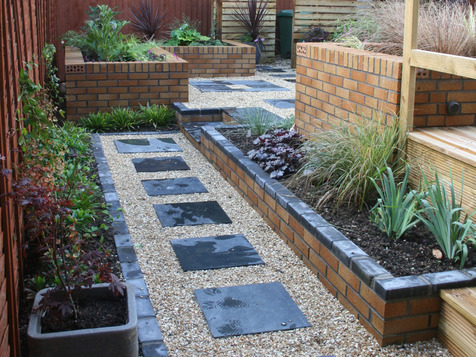 Arriving at a building site may seem overwhelming - but each area of this complex garden just needs managing one step at a time. 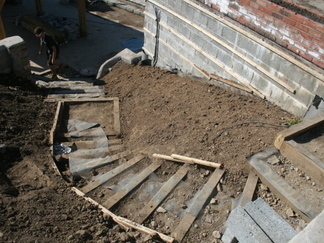 Good teamwork brings the project together between client , project manager, designer and the builders. 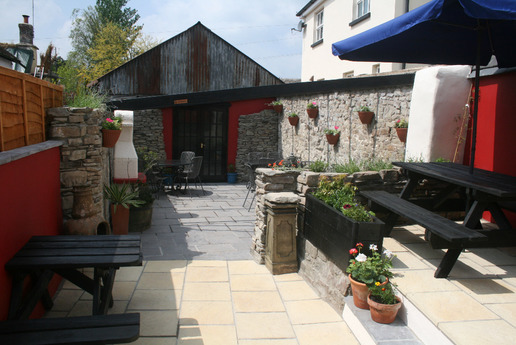 The new management of this centuries old pub have successfully revamped the interior while keeping it traditional and relaxed. 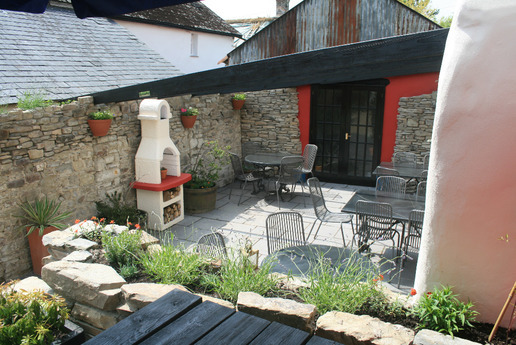 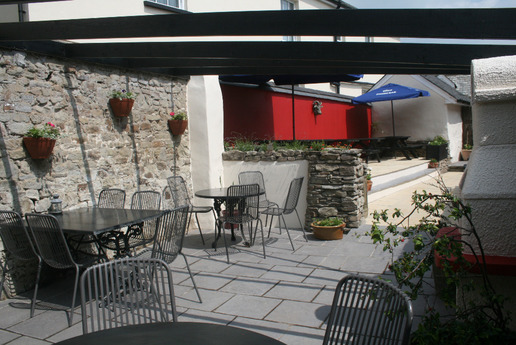 The tiny courtyard at the rear got the same treatment using natural local stone and wood, so the punters can sit out and eat in the good weather- and still have a smoke when it's wet! 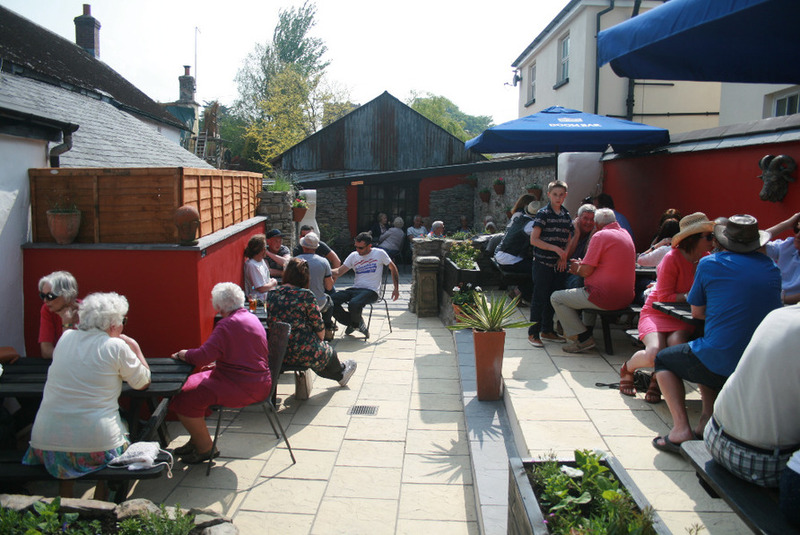 It took eight months but opened at lunchtime 28/5/16. 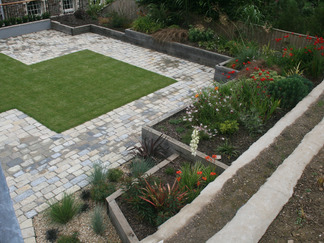 Very much a joint effort between me, an inspired client and a wonderfully resourceful builder. 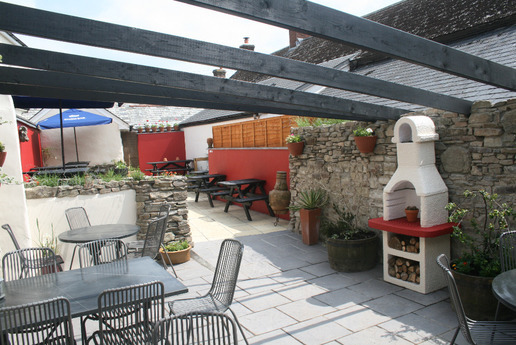 It provides 45 extra covers for the pub. 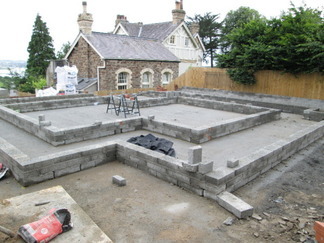 Proper job ! 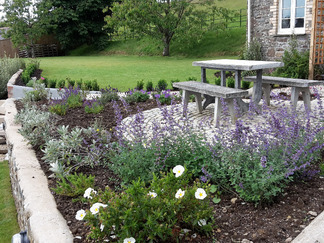 For a free, no obligation quote anywhere in North Devon please click here and complete the form on my Contact Us page or email alison@gardendesignernorthdevon.co.uk or call 01805 804322 or 07772147518.